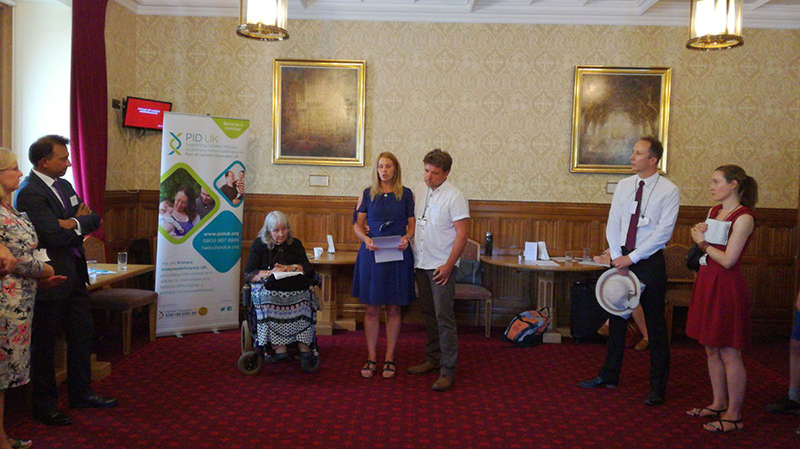 IPOPI, PID UK (UK primary immunodeficiencies patient group) and Prof Bobby Gaspar organised a Parliamentary Reception on newborn screening for Severe Combined Immunodeficiency (NBS for SCID) at the Houses of Parliament, Westminster on June 20, 2017. The meeting was hosted by Baroness Susan Masham and Mr Jim Shannon, Member of Parliament (MP) and aimed at gathering political support for the inclusion of SCID in the United Kingdom (UK) national newborn screening programme. Prof Gaspar kick started the meeting by going over the many efforts made towards SCID newborn screening in the past years and summarising what still needs to be done to the 30 participants. Two families who lost their babies with only a few months of life shared their stories and how important early diagnosis is. Jonah, a 16 years old who underwent bone marrow transplantation as a baby, voiced the ideal outcome of early diagnosed and appropriate care. Participants agreed that SCID is a paediatric emergency that can be successfully tackled by screening babies at birth allowing them to be diagnosed as early as possible to access their lifesaving treatments in a timely manner. Representatives from relevant stakeholders such as Members of Parliament, International Society for Neonatal Screening, Immunologists and nurses were also in attendance. 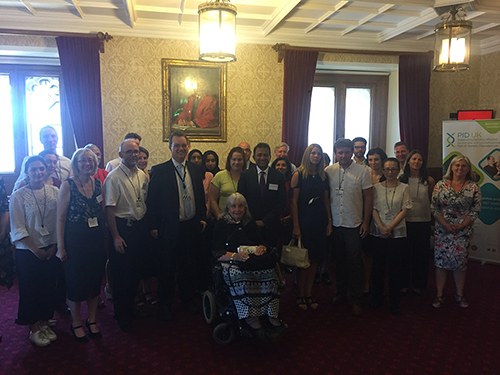 The participants of the event signed a Call to Action calling for the inclusion of SCID on the UK newborn screening programme and agreed to seek further support before sending it to the UK National Screening Committee. The UK Newborn Screening Committee had a meeting behind closed doors three days after this event. Its outcome will be sent to the Ministry of Health under the form of a recommendation. Why should countries include SCID in the Newborn Screening programmes? Screening for SCID immediately after birth is possible and can be performed on dried blood spot samples which are currently collected in a standardised fashion from all newborns in all European Union Member States. 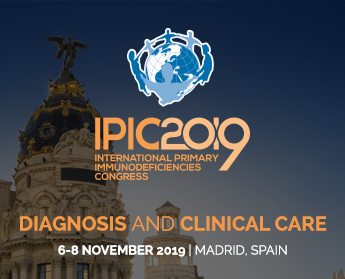 SCID is the only screenable PID condition that can be cured with treatments such as Hematopoietic Stem Cell Transplantation (HSCT) or gene therapy. The transplantation should be done within the first 3,5 months of life to be effective. Delay in diagnosis reduces the success of HSCT as a curative option and generally leads to death. Screening and detection at birth offer the vital chance to intervene before severe infection affects chances of survival. SCID newborn screening fulfils all the internationally recognised criteria for a clinical condition to be screened for at birth. From a health economic perspective, data shows that screening for SCID would be cost-efficient according to the UK standards. SCID newborn screening programmes are rapidly being implemented in several regions of the world. Many EU member states have national or regional pilot studies on SCID newborn screening ongoing, including France, Italy, Sweden and Spain. In the Netherlands, the Ministry of Health issued a report in June 2015 qualifying SCID for inclusion in the newborn screening panel of diseases. A pilot project and an economic study are being developed before its final inclusion in the panel. In the United States in 2010, the Department of Health and Human Services (HHS) announced the addition of SCID to the recommended uniform screening. Currently, 44 US states screening all newborns for SCID. In Israel, SCID newborn screening was implemented at the national level following a call to action from the scientific community.